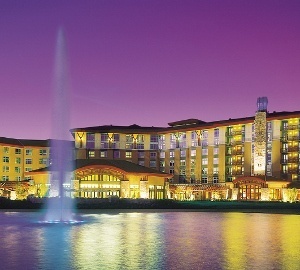 Snoqualmie Casino is Seattle’s closest full-service casino, located just 30 minutes from downtown. Nestled in a spectacular Northwest setting, Snoqualmie Casino combines breathtaking views in a sophisticated gaming setting complete with 55 classic table games — including Blackjack, Roulette and Baccarat — 1,700 state-of-the-art slot machines and a five-table poker room. Snoqualmie Casino also serves up high-quality amenities such as a cigar lounge, two popular state-of-the-art concert venues featuring all-star acts and diverse dining in six restaurants. 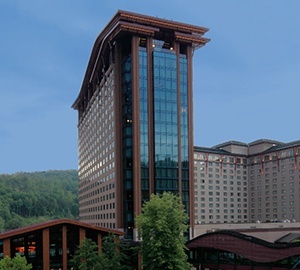 Snoqualmie Casino required a two-phase approach to their technology upgrade. Firstly the VMS and recording platforms were replaced, followed by an analog to digital migration of all cameras. 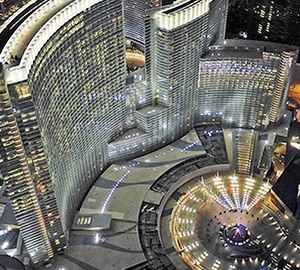 This phased approach ensured minimal disruption to casino operations by maintaining continuous surveillance coverage during the system transition. By adopting this approach both the old and new systems were able to run simultaneously in order to maintain gaming compliance throughout the upgrade process. space for two full systems to operate while installing the new fanned and formed inter-rack cabling, extracting older analog cabling with minimal interference of day to day surveillance operations. All aspects of the project had to be completed in a precise, step-by-step process to utilize the limited space available to cutover to the new system. Communication between all stakeholders was a crucial element of the project’s success. Frequent and effective communication and coordination between North American Video (NAV) Operations Management, the onsite Project Team and the Snoqualmie staff was a priority from the outset. From the initial meetings through the planning, and installation process, the ongoing communication helped to ensure that the phased installation went according to schedule. Constant communication and project involvement from the Snoqualmie surveillance team was vital to ensure the Project Team stayed ahead of potential challenges and found proactive solutions in order to avoid any costly corrective actions later in the project. NAV’s industry-leading experience in system engineering, design, and installation drove the successful completion of the two phased approach which resulted in a state of the art digital surveillance solution for the customer. The completed system at Snoqualmie Casino consists of a fully digital Dallmeier SRS solution with a robust Brocade core network. Over 700 channels of digital video is produced by using a mixture of Panasonic and Dallmeier 2 megapixel fixed and pan/tilt/zoom IP cameras.